I apologize for disappearing for the past couple of days. It's been a crazy week around here -- unfortunately, Brownie had some health issues crop up and we spent most of the week worrying about her and waiting for test results. The good news is, she's fine - she just needs some medication. We're relieved and grateful and all that jazz. 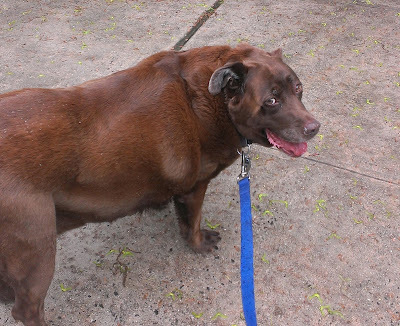 She's the picture of health, right? When things finally calmed down yesterday and I sat down to write a few blog posts, I realized that the three items I planned to review were all out of stock. Two of them, the Sephora Sun Safety Kit and a couple of the lipsticks from M.A.C's Temperature Rising Collection, are not likely to come back in stock so there's not much point in doing the reviews. 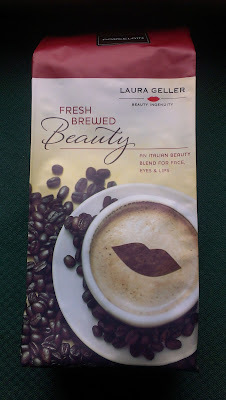 The third item, bareEscentuals Ready 8.0 in The Power Neutrals, may come back so I may wind up doing the review anyway. In the meantime, I received the third installment of the Laura Geller Fresh Brewed Beauty TSV from QVC so I thought I'd do a rundown of the collection's colors in case you're trying to decide if you want the last kit in the AD series. 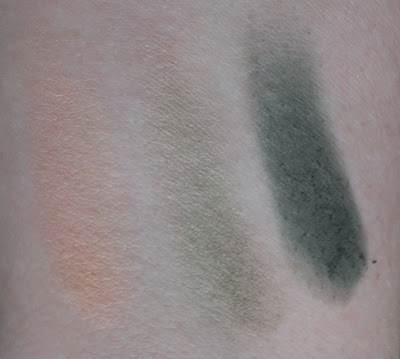 All three kits contained the Balance-N-Brighten Baked Color Correction Foundation, the Baked Highlighter in French Vanilla, and the double-ended applicator. 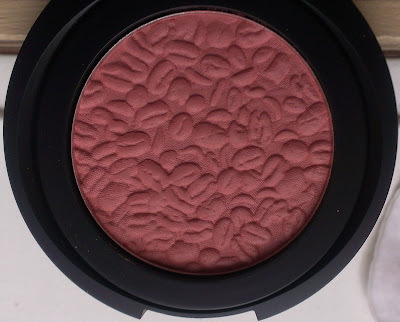 Like the previous kits, the blush and eye-shadows are all matte. The Baked ImPRESSions Blush is in Skinny Pink Latte, a rosy pink. 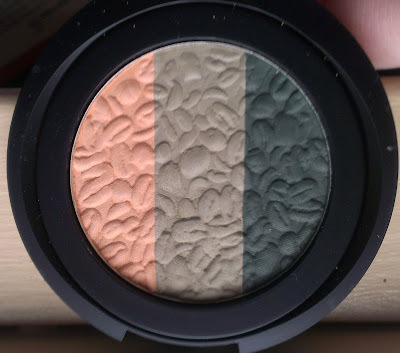 The Baked ImPRESSions Eye Palette is in the shade Mint Chip Frappe. It contains vanilla peach, medium mint green, and dark forest green. FYI -- to me, the middle shade isn't a traditional mint green. It seems to have some yellow undertones. I find it really pretty across the lid. 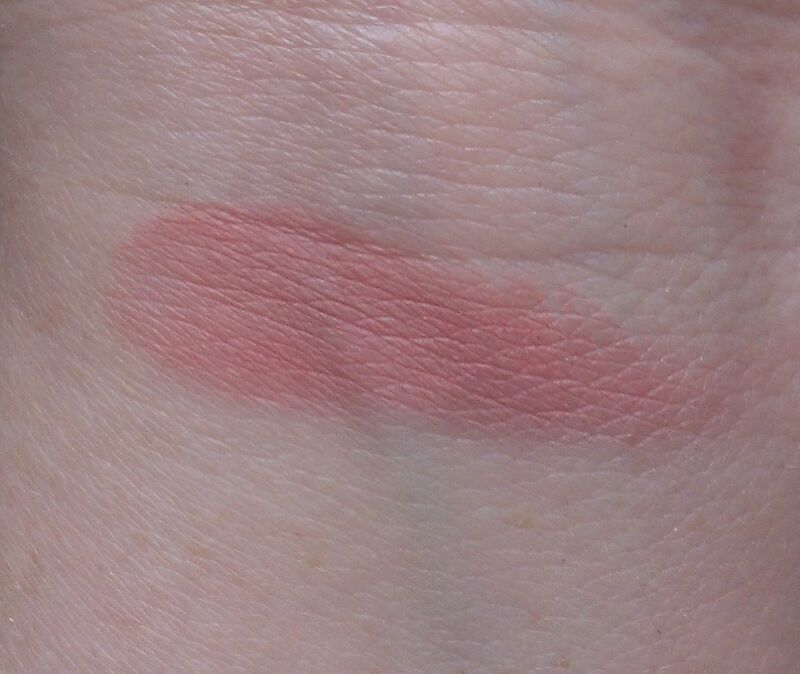 This probably shocking since I love peachy makeup shades, but I'm not crazy about the vanilla peach shade. It seems to have yellow undertones too, which aren't supper flattering with my skin tone. The Color Drenched Lip Gloss in the the shade Perked Up Pink. It's a a deep, bright pink. 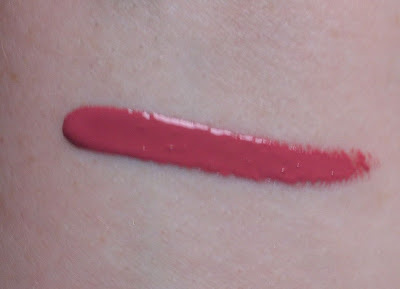 I find this color really pretty and wearable, but I have to say that I don't like it with the eye shadows from the kit. The green shades create a pretty bold eye look and on my fair skin, the dark, bright pink is a little too much with it. I like it better with a neutral eye. All in all, I like the colors in this kit quite bit. 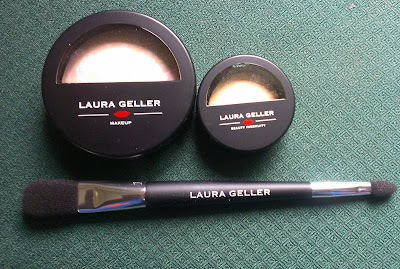 I have one more Laura Geller AD coming my way in the upcoming months, but I think aside from that, I'm done with Laura Geller TSVs for a while. It's not that I don't like her products -- I just have enough Balance-n-Brighten compacts to last a lifetime. What new goodies have you gotten recently?